One in 5 Australians admit to hoarding their old technology. Are you one of them? 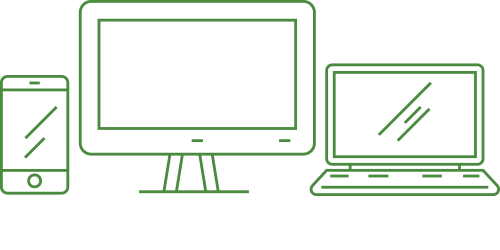 Electronic waste (e-waste) refers to any item with a plug, battery or cord which is no longer working or wanted. Australians are some of the highest users of technology and also among the largest generators of e-waste in the world. The amount of e-waste we are creating is growing up to three times faster than general municipal waste. Many electronic items contain hazardous materials. If they end up in landfill, chemicals can potentially leach into groundwater and soil or be released into the air, creating long-term contamination and health concerns. E-waste is also full of valuable resources that can be reused, like copper, silver, gold and glass. When recycled properly, these non-renewable materials can be recovered and repurposed into something new. To protect our environment and recover more precious resources, the Victorian Government is banning all e-waste from landfill from Monday 1 July 2019. There are many options for recycling your e-waste. One option is dropping your e-waste at the Boroondara Recycling and Waste Centre at 648 Riversdale Road, Camberwell. At the centre we accept a broad range of e-waste including television, phones, computers, monitors, laptops, tablets, printers, scanners, computer parts and peripherals. To find your nearest transfer stations and recycling centres visit e-waste. For more information visit Waste and environment or call 9278 4444.